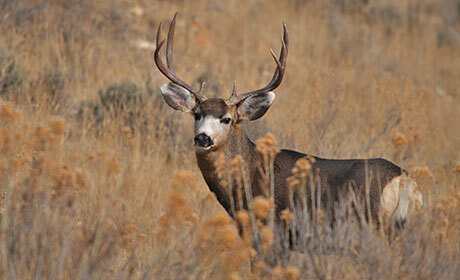 Wildlife surrounds the Rangely area including big game, birds and predators. Much of the area is public land, providing thousands of hunting and viewing acres managed by the Bureau of Land Management and the Colorado Division of Wildlife. 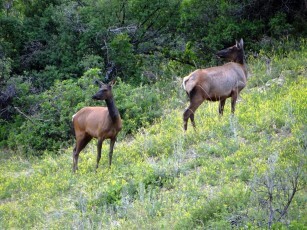 Deer, antelope and elk can be seen in the area. 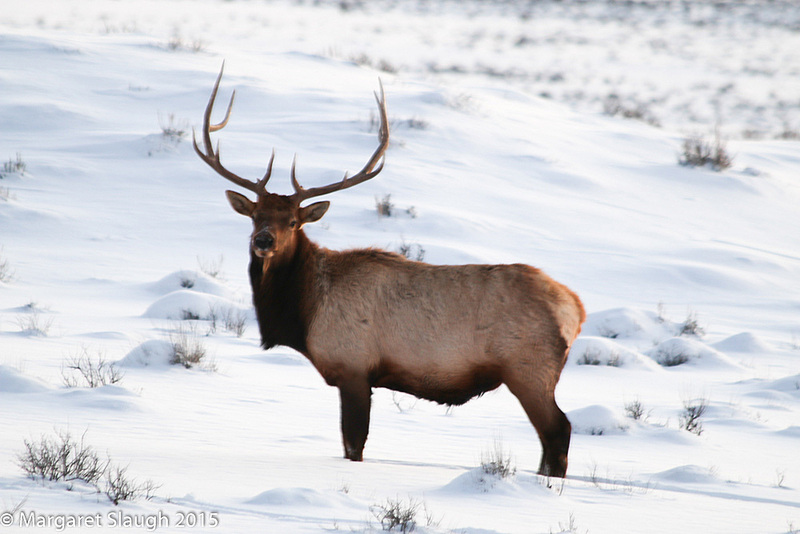 Drive with care when traveling to avoid colliding with the large animals, which frequently graze near the roadways. Bald and golden eagles, as well as several varieties of hawks and owls, can be seen in the Rangely area. The area is also home to predators like coyotes, red foxes, bobcats and mountain lions. 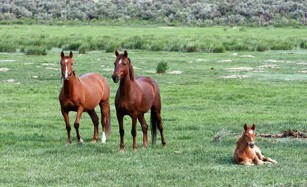 Approximately 165 wild horses call the area just east-southeast of Rangely home. Today’s wild horses are ultimately descendants from runaway Spanish horses. As early as 1882 settlers crossing this region recorded seeing wild horses. The horse population increased in the 1930s as the depression forced ranchers and farmers to release their domestic horses. Today’s horses are a cross of Arabians, thoroughbreds, draft horses, and many other breeds. Being able to see the wild horses is never a guarantee since they are free to be wild and roam as they please. Recommendations on your best chance to see the wild horses: In the Spring can usually find the horses at 84 Mesa and along Yellow Creek, during the summer months the herd will migrate to higher elevations. During the winter, herds will concentrate on the ridges and southern-exposed slopes. Be sure to allow plenty of time to see the wild horses. Trips can take 6+ hours, and it’s never a guarantee, but looking is half the fun, and there is plenty of other wildlife to be on the lookout for as well! Use a reliable four-wheel drive vehicle because a lot of the county roads are maintained but are unpaved and in rugged terrain. Bring supplies such as water, food, a warm jacket, binoculars, and a camera. Use the “good neighbor policy” and leave gates as you find them, watch for signs and fences signaling private property, and be aware of your impact on the environment and be respectful of all the wildlife, including the wild horses.